In Part 1 of this Article we explained what a family trust is and its advantages. In this section we will look at some practical aspects of setting up the trust, including a look at the tool box required to set up a family trust, and the potential pitfalls and how they can be avoided. – When should the family trust take effect, when would it cease to exist and how the property will be vested thereby. It is very important that trustees be actively involved in the running of a trust. Trustees must be involved in all decision-making, record decisions and prepare annual financial statements. Trusts must have a formal written trust deed with a separate bank account. Needless to say, it is difficult to assess the amount of money you require as administrative fee as it depends on the variables such as the institutions you hire for accounting and financial advice, number of members etc. However, a simple family trust can cost around $800 to $1000 per year to maintain. This cost includes accounting costs and financial advice for significant financial decisions. a) What happens on the vesting date of the Trust ? Many trustees and beneficiaries may forget this and as a result not many people plan for this eventuality. The Settlor also may have died by then. As you can imagine, in the event of a substantially wealthy trust it means that there will be lump sum which will be distributed to the beneficiaries. Thereafter, the property is not Trust property anymore, they are personal property. Hence, the protection and advantages will be lost. If you prefer to re-create a family trust beware these lead to a series of transactions and could no doubt give rise to Capital Gains Tax concerns. However, it is important to consider the views of the Beneficiaries in order to make sure that the Trustee will not be exposed to litigation for taking an arbitrary step against the best interest of the beneficiaries. Therefore, it is better to discuss this in advance with your solicitor, accountant or financial planner. b) Is choosing the correct Trustee more important than choosing the trust property? Dr. Richard Tijong a surgeon and a lawyer executed a Will for his brother Dr. George Tijong for his assets leaving them for himself, Dr. George’s wife and child. After the death of Dr. George, his brother Richard advised that the assets should be maintained through a family trust as per the Will and the entirety of the estate was vested in the family trust and a company where all three of them (Richard, George’s wife and child) were directors became the trustees. Later, using the powers vested in the Deed of Trust, Richard replaced himself as the sole trustee and thereafter the Trust received several claims for medical negligence against George. Richard continued to pay these claims which turned out to be bogus claims whereby Richard attempted to siphon out the funds to himself. Eventually, the Courts decided in favour of the Widow and Child but this gives a good example of how important it is to carefully draft the right to appoint and remove trustees as they have the power to deal with Trust property. c) How to invest trust property ? Trusts generally go through changes at different intervals depending on the situation of the Trustees / Beneficiaries and also the changes in the law. 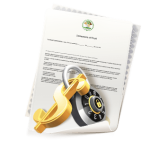 To accommodate these changes your solicitor and financial advisor may request you to amend the Trust Deed. This will no doubt create a huge unexpected tax liability which needs to be borne in mind. Although it is difficult to predict all instances where this could happen, a common examples may include where there is a complete change to the number of beneficiaries (although within same family), changing the date of vesting etc. Hence, it is wiser to discuss the impact on taxation with your advisors before you consider stop gap measures. e) Assessing wealth for social security payments? For certain social security payments though Centreline, the Centrelink may request an asset statement to assess the eligibility. 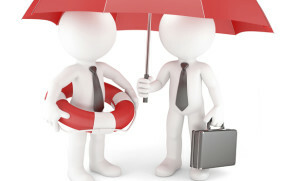 In certain instances, it is possible for the authorities to attribute trust assets and income. In doing so the authorities generally apply what is called the ‘control test’ and the ‘source test’. The control test considers whether the individual has the ability to dismiss and appoint the trustees, veto a trustee’s decision and amend the trust deed. It also looks at situations where an ‘associate’ controls the trust and an individual informally controls the associate. The source test, on the other hand, looks at who contributed the assets to the trust and whether that individual has control over the assets.